Do You Know How to Clean Diamond Jewelry Properly? The diamond on your engagement ring may sparkle and shine on the day he proposes, but it won’t stay that way if you don’t know how to take care of it. Unfortunately, no matter how beautiful and flawless your diamond may be, by virtue of it being a diamond, it is a literal magnet for dirt and grease. That’s why keeping your diamond sparkling clean really has to become a new part of your routine. You don’t necessarily need to do it on a daily basis, but you can if you want. In most cases, with the proper technique, you can clean diamond jewelry on a weekly basis and avoid the greasy, murky look of dirty diamond jewelry. Here’s how to do it properly. https://i1.wp.com/nadb.com/wp-content/uploads/2017/03/clean-diamond-jewelry.png?fit=2076%2C982 982 2076 Summer Bowie http://nadb.com/wp-content/uploads/2015/12/NADB-transparent-logo.jpg Summer Bowie2017-02-18 08:16:212017-03-03 09:55:45Do You Know How to Clean Diamond Jewelry Properly? 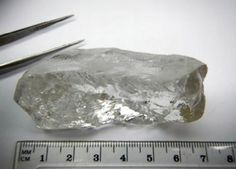 You may know your stuff when it comes to the polished loose diamonds and how they’re graded, but how much do you know about rough diamonds and how they’re mined? If you’re like most people, probably not much. People often talk about how the price of a diamond is based on a false sense of rarity, and how the myth of that rarity helps to inflate the value of diamonds. However, it’s a little bit more complicated than that. While diamonds are not as rare as they once were, we never know when a mine may be tapped dry, and when another mine will be found. Plus, once we do find a new diamond mine, there’s no way of knowing – until we start digging – exactly how many stones the mine will yield. And finally, when a mine doesn’t yield many diamonds, there are tens of thousands of tons of dirt that have to be sieved either way. If you want to know more about the diamond mining process, here’s a little tutorial. In a previous article, we talked about buying jewelry at auction, but in this article we’re going to explore buying diamonds and diamond jewelry at gem shows. Gem shows occur all across the country, but the main ones are in Las Vegas and Phoenix. Diamond and jewelry wholesalers reserve a booth and display their wares to either retail clients or wholesale clients. 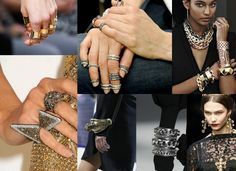 Indeed, gem shows can be a great venue to purchase jewelry, but you need to know how to navigate. You don’t want to show up to a gem show and start purchasing diamond jewelry at random. Here are some things to keep in mind when buying at a gem show. 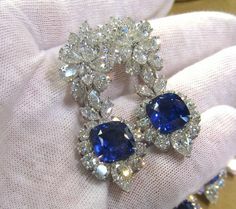 One great way to purchase diamond jewelry is to head to an auction. The best auctions happen in the best cities, like London, New York, Paris, Hong Kong and Monaco. 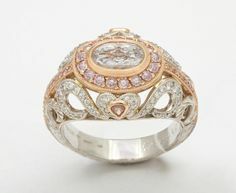 The benefit of buying at auction is that you get to purchase a really special piece of jewelry that was possibly owned by a celebrity or even royalty. Whatever the case is, it can help to know some of the ins and outs of buying at auction. Here is how it’s done. 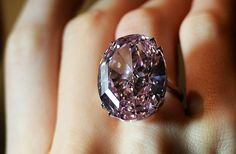 Most people working at jeweler stores – or at least most people that own jewelry stores – are experts when it comes to rare gems and diamonds. Of course, the correct nomenclature is gemologist. Gemologists have some of the most interesting jobs and it doesn’t always involve trying to get a new diamond engagement ring on your finger. It also includes sourcing, researching, and discovering new trends in the gemology industry. Here is everything you wanted to know about gemologists.